Adarve has a clear international focus and makes a point of accompanying its clients when they go abroad, This has allowed us to build very strong relationships in most countries and jurisdictions with law firms we completely trust and that have proved to share our high quality standards of service. Adarve is the only Spanish member of Yingke Law Firm, the largest Asia-Pacific Law Firm, with more than 3500 lawyers worldwide. From our Chinese Desk based in Madrid, Yingke Adarve deals with the needs of clients with interests in China and in Spain. 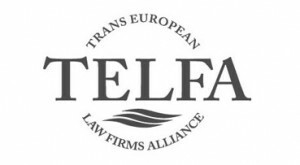 Adarve is the exclusive member in Spain of TELFA, the Trans-European Law Firms Alliance, a European association of law firms very active in the field of business law. Thanks to our Alliance with TELFA, Adarve collaborates with USLAW, one of the most active law firms’ networks in the USA, present in all the US as well as in most of the Latin American countries. We work with these firms on international matters according with our clients’ specific needs as well as the expertise required for each matter. The relationship and historical knowledge we have of these firms makes it possible for us to take multinational legal assignments with full warranties. At the same time we also advise international clients with interests in Spain, offering them high-quality and professional services, and also very close on a cultural point of view. Our lawyers have international background and speak several languages. Adarve is also an active member of the Spanish Chamber of Commerce in Great Britain, of the French Chamber of Commerce and Industry and of the Belgium-Luxemburg Chamber of Commerce in Spain. We speak Spanish, English, Chinese, German, Italian and French.